We are a group of like minded women and paranormal investigators. For more about each of us invidualy, scroll to the team section below. Our quest is to find Bigfoot and undeniable evidence of this elusive creature. 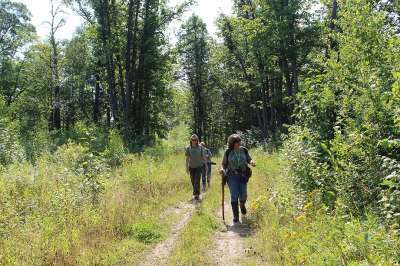 We have investigated primarily in the forests and wetlands of Minnesota, and intend to travel to other states on our journey to discover all we can. We search in areas where there have been reports of Bigfoot; typically these areas include dense forests, lakes, rivers, and wetlands. When we are in the field searching for Bigfoot we do so without weapons; we bring only ourselves along with a few pieces of equipment. We believe this peaceful and non-threatening approach will assist in our quest to find Bigfoot. Over the two years since our group was founded, we have enjoyed some incredible experiences and found a few footprints we feel could be Bigfoot in design, but no concrete evidence...yet. We will find evidence though, you can count on that. We travel throughout Minnesota and host Squatch Chats, our own brand of townhall meeting, where we talk about Bigfoot. We encourage everyone to share their stories with us, giving us the opportunity to talk about what they have seen, and where they have encountered evidence or actually seen Bigfoot. If you have seen anything you believe could be Bigfoot send us a message via the Contact page! 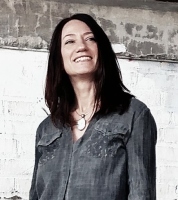 Stephanie founded SquatchHers in late 2015. 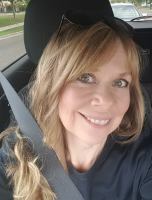 In addition she is a founding member and lead investigator of Supernatural Investigators of Minnesota, a paranormal team established in early 2010. Stephanie is a highly intuitive sensitive, she senses spirits and other paranormal activity when present. Stephanie has a huge passion for Cryptozoology and aspires to "look a squatch in the eyes". Stephanie co-hosts The Gathering, a weekly radio show with Heidi Steffens about all things supernatural. She writes in a blog about her adventures in the supernatural field when she can at, www.seekingghoststhestories.blogspot.com . And? She loves rock and roll . 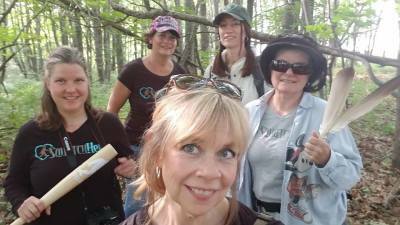 Kimberly has been with SquatchHers from the beginning in late 2015. She is the founder. lead investigator, and psychic advisor for C.A.T. Paranormal Society a paranormal team, and has been investigating for over five years. She hails from California and when she saw the Patterson and Grimlin video, she was hooked. She moved t o the land of 10,000 lakes (Minnesota) and she embraces the great outdoors. Did we mention? She LOVES searching for Bigfoot. Hello, my name is Katie and I am a hockey mom by day and paranormal investigator by night. I am a founding member of Supernatural Investigators of Minnesota, and have been investigating since 2010. I am also a very excited member of the SquatchHers Team. looking for Big Foot. Even though I am not one of the members who are clairvoyant, or psychic, I have developed great skills for debunking and learning how to prove real evidence. Heidi is a paranormal energy consultant, intuitive channel, Reiki instructor, and Ordained Shamanic minister. 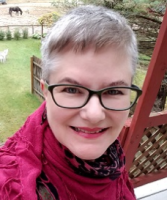 Heidi has been working in the spiritual field for 20 years ( www.myspiritexperience.com ) and has organized the Minnesota Paranormal Research Society since 2008. Heidi is also a host of the weekly radio show The Gathering where she and co-host Stephanie Ayres discuss topics involving all varieties of paranormal phenomena. She is on this Bigfoot research team with the belief that Bigfoot does not exist in this dimension. She does believe it's possible to pass through dimensions and would like to find evidence that this is what is happening during Bigfoot sightings. 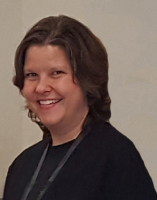 Gina is a K12 teacher-librarian by profession, and is perceptive and intuitive by nature. She is also a writer and Shamanic Reiki practicioner. 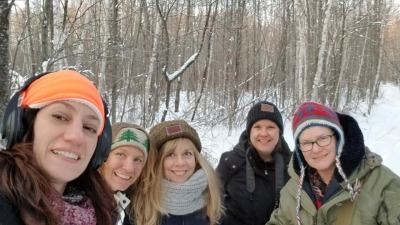 Gina loves her life in the woods of northern MN with her husband and German Shepherd, watching the wildlife from her homestead and her newly adult sons from afar. Gina shares ease, joy, and inspiration on her blog at ginadrellack.com. Hello! I am long-time member of MPRS (Minnesota Paranormal Research Society) and have had numerous paranormal experiences over my lifetime including seeing a full-body apparition. Whether Sasquatch/Bigfoot is paranormal or not is something I intend to keep an open mind about. Several years ago, I did come across some very large foot prints in the Chippewa National Forest on a soft gravel road which I was able to take photos of. 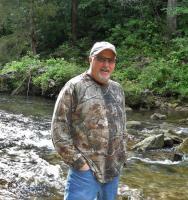 I am a native of Minnesota with decades of familiarity with the North Woods. 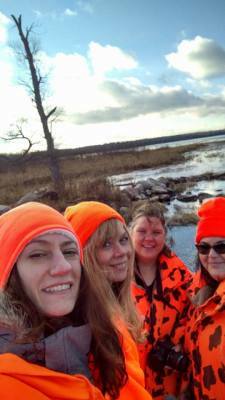 I love exploring the woods, marshes and plains of Minnesota and am very excited to investigate with this amazing group of women! Carter has been a Bigfoot Researcher for more than a decade, and is a member of the BRFO (Bigfoot Research Field Organization). Carter has consulted on two Finding Bigfoot TV shows for Missouri & Kansas, has led three public expeditions for the BFRO, and has scores of published BFRO reports in the Class A & B Catagories. Last year Carter also co-hosted the first public Town Hall meeting in Missouri, and has taken on the role of Advisor for SquatchHers.